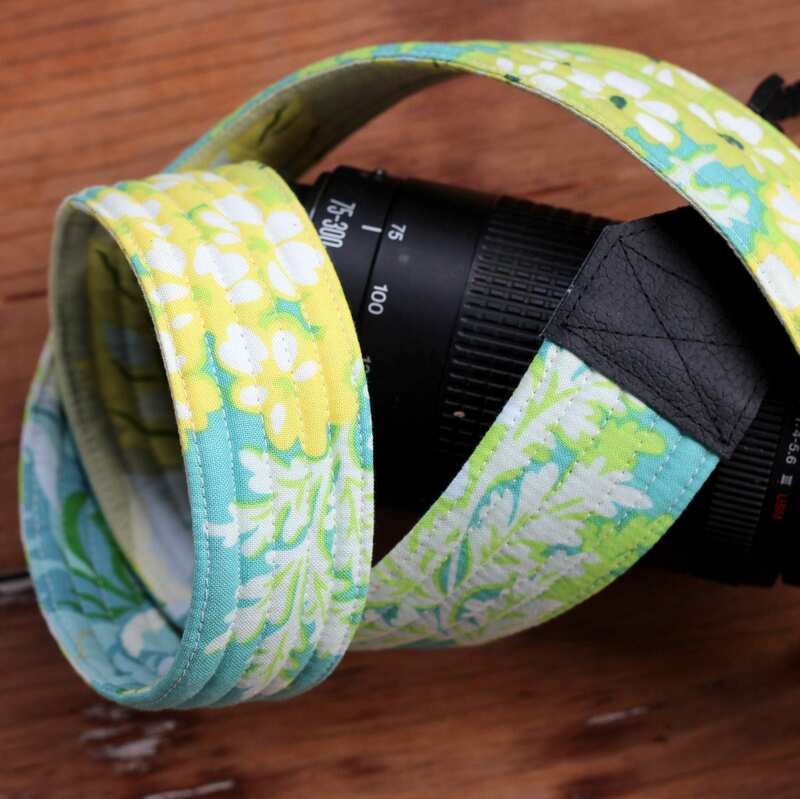 Isn't this camera strap with it's Heather Bailey Hello Roses prints just amazing? 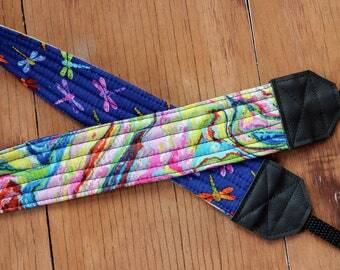 Not only are the coordinating fabrics fresh and gorgeous, but the strap is so, so comfortable and strong. The two large scale rose prints include colors of soft blue, green, yellow, tan, white, and cream. The end pieces are black leather.